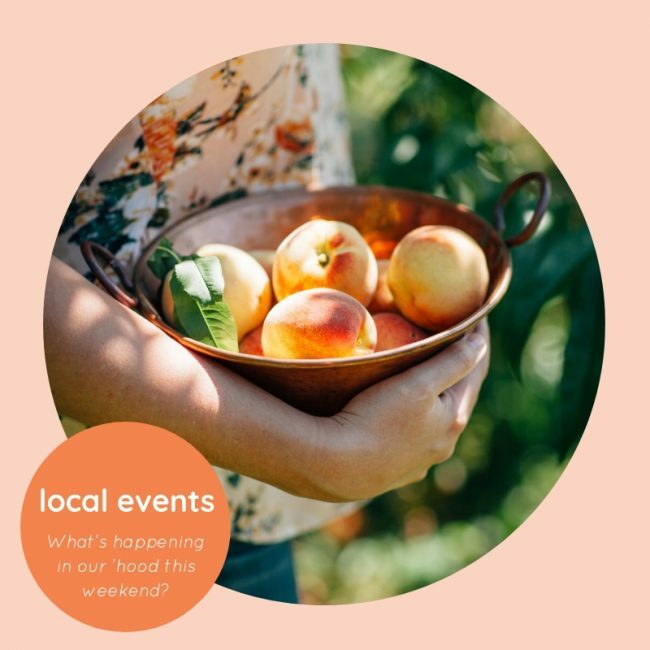 Here’s our weekly round up of some of the local events and happenings coming up this week/weekend! If you’d like to better use or start using Photoshop for your work or projects why not check out the 3 hour Photoshop: Masterclass being held at Guerrilla Establishment in East Perth – tickets are only $20! Runs from 9:30 to 12:30. Deets and tickets on their FB events page. Curious about crochet? The Perth Crochet Club Meetup – beginners welcome starts at 10:00am in Maylands (venue TBC). Cost is $35. Details on their FB events page and website. And Spring means gardens, and garden pests, are springing into action. If you’d like to lear more about how to control them the City of Bayswater is hosting a FREE Fruit Fly and Garden Pest Workshop at their Civic Centre on Broun Ave in Morley. Whilst entry is free you’ll need a ticket to attend. Check out their FB event page for all the details and links. Bayswater Primary P&C are hosting a Bayswater 80’s Prom Night to raise funds for the school. It starts at 7.30pm in the Senior Citizen Centre (next to Bayswater Library). Tickets are $25 and can be purchased by emailing fundraising@bpspc.asn.au Food and drinks (cash bar only) will be available to purchase. Trio Cafe & Wine Bar in Mount Lawley are hosting an Italian Wines Masterclass from 1 to 3PM. Tickets are $80 and include wines and food. Needing to find some inner peace? Or just keen to eschew the television or family for an hour or so? Billie & Rose together with Cntre Space are hosting weekly Meditation & Yoga classes from 6:00pm to 7:15PM which consists of slow and mindful yoga practice followed by guided meditation – it’s suitable for beginners and up. Tickets are $25 and can only be purchased from the store at 854 Beaufort Street, Inglewood. Class size is limited to 20. And that’s a wrap for this week! Enjoy!